SFV-CAMFT - New Beginnings: Annual Experiential Event "Bearing Witness: Reciprocity, Narrative, and Healing"
New Beginnings: Annual Experiential Event "Bearing Witness: Reciprocity, Narrative, and Healing"
Join us in bringing in the new year with our Annual "New Beginnings" Experiential Event! In the great circle of all beings, wisdom and truth lay at the center. Only by decentralizing our own perception may we enter into a greater awareness of how our own stories interpenetrate all others, how we are all interconnected. In this experiential presentation, participants will co-investigate the ways in which the act of bearing witness can lead to intimacy, reciprocity, and healing. Drawing from his experience in Forest Therapy and the Way of Council, Ben will lead the group through a series of exercises that blend mindfulness, eco-therapy, and deep listening. A portion of the annual experiential event will take place outdoors. Please be prepared by wearing sturdy flat sole shoes (no heels), and wearing a jacket or dressing in layers depending upon the weather. Identify the 4 intentions of Council. Define the difference between Council and psychotherapy. Identify 3 values of witnessing the healing process of Council. 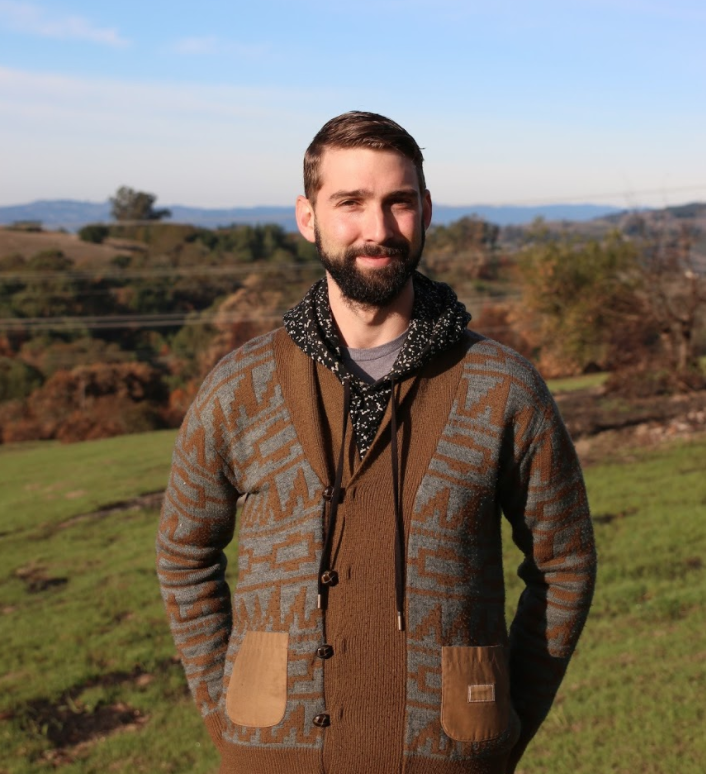 Ben "Crow" Page is a certified forest therapy guide and trainer, council carrier and alternative educator based in Los Angeles. He is the founder of Shinrin Yoku LA, an organization dedicated to transformative nature therapy and contemplative practice in the wild. Since his practice began, Ben has been featured in such publications as Women's Health, USA TODAY, Sierra Magazine, Washington Post, and WebMD. Ben is also a mentor and trainer of guides with the Association of Nature and Forest Therapy, as well as a part time administrator specializing in trainer development and recruitment. He holds a B.A. in religious studies from Carleton College and an M.A. in human development and social change from Pacific Oaks College. Course meets the qualifications for 2 hours of continuing education credit for LMFTs, LCSWs, LPCCs, and/or LEPs required by the California Board of Behavioral Sciences. CEU completion certificates will be awarded when participants complete the course evaluation after speaker presentation. No phone or email RSVP. This is a pre-paid event; no walk-ins. Not included in annual meeting package. THIS EVENT IS NOT INCLUDED IN THE ANNUAL MEETING PACKAGE! Requests for refunds must be in writing and received by SFV-CAMFT before one week prior to the event. A $2 administrative fee will be deducted for cancellation of a paid event, through the cancellation deadline. There will be no refunds on requests received after one week prior to the event. The President has discretion to issue refunds that do not comply with the policy. To request a refund, email president@sfvcamft.org.